← Putin and Erdogan: Partnership of convenience? Kosovo is a full member of the IOC. So what? What links sport, nation-building and international diplomacy? In the Balkans, sport has often been (mis)used as a nation branding tool. The recent recognition of Kosovo by the International Olympic Committee (IOC) is a further occasion to reflect. “Although it remains to be seen how FIFA and UEFA will react to the IOC decision, the inclusion in the ‘Olympic family’ represents a symbolic victory for Kosovar international diplomacy on its way to full UN membership”, writes Dario Brentin. 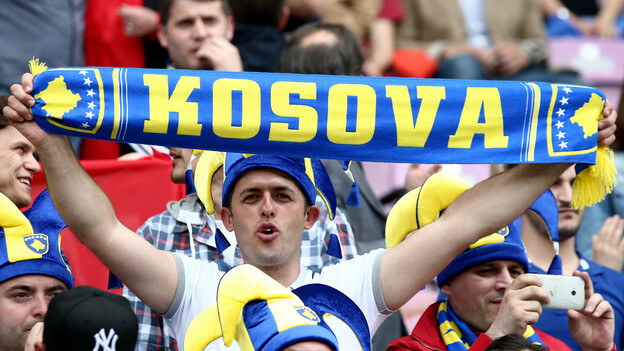 This week, as per the October 2014 decision of the Executive Board to grant Kosovo provisional recognition, the International Olympic Committee (IOC) welcomed Kosovo as their 205th full member.The acceptance of Kosovo into arguably the most important international sport governing body almost entirely escaped the radar of commentators outside the region, due to the announcement of Kosovo’s new government on the very same day. The IOC decision, which enables Kosovar athletes to represent under the Kosovo flag at the 2016 Rio de Janeiro Olympic Games, is far-reaching and could have significant repercussions for the nation- and identity building process of the country. It can also add to its position of strength in the international diplomatic dispute over its contested independence. The notion that ‘sport matters’ is widely accepted in academic scholarship. Within the post-Yugoslav context, numerous scholars have shown how sport was often (mis-)used purposefully for positive nation-branding and/or as a mean of ‘soft’ international diplomacy. The scholarship argues that sport can function as a strong cultural and symbolic resource as well as a catalyzing motor for national pride and/or international reputation/recognition. This is particularly true for newly established and unconsolidated countries, where national identity is still in strong flux or contestation. Jelena Džankić points out that in such cases sport serves the following functions: domestically as a creator of a sense of belonging to the community of the state, internationally reinforcing the differentiation of a certain country’s identity from other competitors, the unity of community through state symbols and the sense of national success at the international arena, which is domestically seen as a trade-off for poor political and economic performance. As stated correctly by Serbian officials, Kosovo is not yet a UN member, with Russia, China, and five EU member states (Spain, Greece, Cyprus, Romania and Slovakia) not recognizing its independence. Thus far this had been the basis on which new member states were accepted as full IOC members. However, as elaborated by Marko Kmezić, international public law seems to be a ‘fluid category’ with the ‘Kosovo precedent’ emblematizing its ‘vagueness and elusiveness […] when it comes to ‘special cases’’. A similar conclusion can be applied to the IOC decision. According to them, Kosovo had met the requirements for recognition as outlined in the Olympic Charter through meeting the sport and technical requirements and also the definition of ‘country’ as defined in Rule 30.1 – ‘an independent State recognised by the international community.’ For the Executive Board of the IOC the recognition of Kosovo as a country by 108 of the 193 UN Member States was enough. Furthermore Kosovo fulfilled another requirement for membership by having more than five national sporting federations recognized by their respective international body. But why now? What had changed? Ever since its establishment in 1992, the Kosovo Olympic Committee (KOC) had engaged in a variety of actions in order to push for recognition by the IOC. Some commentators have argued that a bricolage of reasons have led to the decision: Serbian political endeavours to secure its Europeanization process; the visit of the (then) Kosovar Foreign Minister Enver Hoxhaj to Belgrade shortly before the decision; the IOC President Thomas Bach and his standpoint that prospects of athletes should not be put on hold due to political feuds; and the particularly positive role of KOC head Besim Hasani who has been its president since 1996. Furthermore, the Kosovar sporting bodies have been very clever in utilizing athletes, particularly football players of Kosovo origin such as Manchester United winger Adnan Januzaj, Bayern Munich’s Xherdan Shaqiri and SSC Napoli’s Valon Behrami, for their political agenda and affirming the government’s political goals. Following Emile Durkheim, these athletes can almost be identified as a point of reference and a moral authority to an extent where they transcend their occupational locales and become influential public figures and national ambassadors. In September 2012 the Kosovo Football Federation took advantage of the World Cup qualifying match between the national teams of Switzerland and Albania. They approached nine players originating from Kosovo who were scheduled to play for the Swiss and Albanian national teams and persuaded them to sign a petition in a final pledge asking FIFA to allow the country to play international friendlies. Two years later, in January 2014, FIFA eventually granted that right, which has been used ever since to stage international friendlies against Haiti, Albania, Oman and Turkey. With football unquestionably topping Kosovo’s symbolic sport hierarchy and arguably being the most globally commercialized sport, full membership within FIFA tops the list of goals established by Kosovar sport diplomacy. An explanation behind this strategy may be found in recent scholarship on nationalism and national identity formation. Over the last two decades several influential scholars (Jon Fox, Tim Edensor, Michael Billig) have argued that modern sport has become one of the major rituals of popular culture, substantiating concepts of the nation as an ‘imagined community’ (Benedict Anderson). In the previously mentioned interview, Petrit Selimi also argued that ‘having a national football team’, ‘being recognized as a country by Facebook’ or ‘having a national song at Eurovision Song Contest’ constitute important markers of national identity. This interpretation shows a sharp understanding of importance of popular culture as a so-called ‘soft’ power. In that sense, representative sport can function as an integrative factor within a society whilst simultaneously being a powerful (pop-)cultural force of ‘nation-branding’ in the international community. Expressed through an array of cultural symbols (national flags, anthems, songs, chants, colours) which signal preferred conceptions of national unity and powerfully invoke feelings of identity, representative sport conveys a public expression of national identity. And after all, as Eric Hobsbawm has noted: ‘the imagined community of millions seems more real as a team of eleven named people’ making the ‘individual [a] symbol of his nation himself’. Although it remains to be seen how FIFA and UEFA will react to the IOC decision, the inclusion in the ‘Olympic family’ represents a symbolic victory for Kosovar international diplomacy on its way to full UN membership. The global appeal of sport and its malleability as a political resource only underline the importance of ‘low politics’ as a significant aspect in the arena of international diplomacy. Dario Brentin is a PhD-candidate at the School of Slavonic and Eastern European Studies at University College London working on the topic of sport and national identity in post-socialist Croatia. Dario is also currently a University Assistant at the Centre for Southeast European Studies at the University of Graz where he has just co-edited a special issue of the journal Südosteuropa entitled ‘Football and Society’. He has recently taken his thoughts on sports and nation-building to twitter, where you can find him @sportingbalkans. This entry was posted in Contested states, Current affairs, Kosovo, Serbia and tagged Dario Brentin, football, International Olympic Committee, Kosovo, national identity, sport, state building, state recognition. Bookmark the permalink. 3 Responses to Kosovo is a full member of the IOC. So what? Very interesting was the comment of Serbian NoC president vlade divac who said Serbia “would not be a part of society” if it didn’t accept the decision and reporting all Serbian athletes he talked to would gladly pariticipate In rio and with Kosovo athletes. Among Serbia NoC and athletes there is no opposition to Kosovo in Olympics. It seems to be completely uncontroversial in Serbia that Serbia will compete against kosovo in Olympics. it actually doesn´t matter. IOC has been led by Nazis, international law is dead and european “national” teams are made mostly of immigrants. Olympics and football cups are same kind of joke like nobel prize for peace, imo.